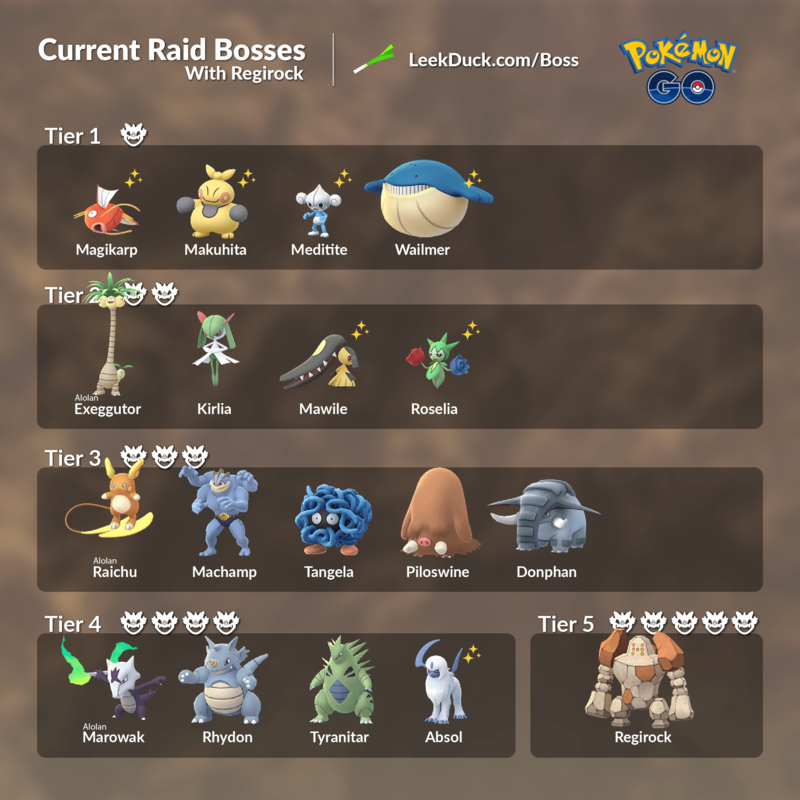 These are the Raid Bosses with Regirock’s arrival. They arrived on August 16, 2018. They are subjected to change with a new Tier 5 Boss.